DAY 39 – March 19th – Is That Really You God? The biggest problem in hearing God’s voice is knowing for sure that it is His voice that we hear. Maybe we are only hearing self-talk. Could it be just our imagination? Jesus says, “listen to (the shepherd’s) voice…his sheep follow him because they know his voice. They will never follow a stranger…because they do not recognize his voice”. (John 10:2-5) Jesus is the Shepherd. Believers are the sheep. Believers will listen to and recognize the voice of the Shepherd. They will also know that certain voices are not his and will flee from them. The best way to get to know Him and His voice is to spend time with God. As Pastor Littlejohn has stressed we must have a personal relationship with Jesus. The more time that we spend with him the better we will know Him. As we come to know His ways, words and will through the Word of God and by the Spirit, and spending time with Jesus we will also come to know what his voice sounds like. “We want to have confident communication with the Lord by being in fellowship with Christ such that we know who we are talking to, know what we are talking about through Jesus’ Word, as a result of a relationship with Him”, Pastor Littlejohn explained on Sunday March 6, 2016. Thank Him for guiding you, protecting you and keeping you from harm. Confess to the Shepherd if you have listened to other voices and followed their leadings and ask for forgiveness. Ask the Shepherd to help you hear His voice, to follow His lead, and to spurn those who would lead you in the wrong way. 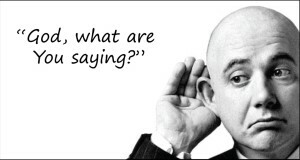 Ask God for an ear to hear (Revelation 2:7) and to teach you to hear better. 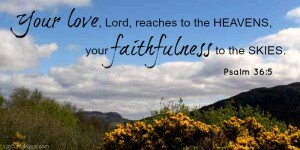 DAY 40 – March 20th – Are You Listening To The Lord? We started this 40 Day Prayer Journey on February 10 (Ash Wednesday), to prepare our hearts and minds for Resurrection Sunday better known as Easter through the season of Lent. 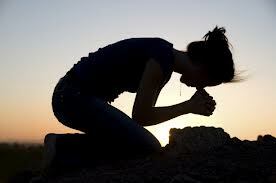 Hopefully through this forty (40) day prayer journey you have sought the Lord consistently, repenting from your old ways, letting them go and praying toward the desires and promises of God to enable us to grow in our spiritual walk. 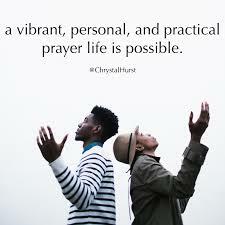 The Intercessory Prayer Ministry prays that each of you as individuals and as a corporate body have repented, been refreshed, and have renewed your minds to communing with Christ, talking to him, but also listening to hear what He has to say to each of us individually and corporately. 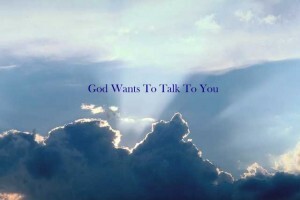 God wants a personal love relationship with you-with us. A relationship involves a two way conversation. Prayer is a dialogue not a monologue. God is not silent. He speaks to us through His Word and through His Holy Spirit and in other ways that line up with His Word. Jesus was a listener. He said “Whatever I say is what the Father has told me to say” (John 12:50). Like Jesus we must listen. God is longing for us to pay attention. Let’s all stop and listen. Praise the Holy Spirit who speaks to you and to the church through the Pastor. Thank God that you have the ability to ”hear” the voice of the God. Ask the Lord to give you a responsive heart and the willingness to do His as He reveals it to you no matter what. Sing a song of Praise. Our Lord Jesus Christ has risen and we celebrate Him as we look forward to Resurrection Sunday. Write a prayer of praise. God has promised to guide us if we listen. He tells us not to listen to our own understanding but to acknowledge Him in all our ways. If you do what he says, He “will make your paths straight” (Proverbs 3:6). God wants to guide you because he knows what is best for us in every situation. Things go right when we listen. When David inquired of the Lord, listened to His response and executed the detailed battle plans God gave him he won great victories over his enemies. (2 Samuel 5:17-25) That things go right when we listen, does not mean they are always easy .When Jesus submitted to the will of the Father in Gethsemane it surely wasn’t easy. It took Him to the cross. But it was right; and it lead to the defeat of Satan and the salvation of the world. Listening leads us to Christ himself. Jesus said,” Everyone who listens to the Father and learns from Him come to me”. John 6:45. When the Father speaks He directs us to His Son because all the answers to life’s questions are found in Him. The greatest benefit of listening to God is that we are directed by the Father to the Son and to the life He gives. Without His leading life is impossible. With His leading life is full of purpose, provision, and His presence. Ask God to give you a keen sense of your need for His guidance and the ability to hear his voice. Pray that fathers will look to God as the ultimate spiritual head of their household, and serve their families by carrying responsibility for the physical, emotional and spiritual well being of their wives. Pray that God will instill a vision of wholesome, supportive, fatherhood to all fathers. Pray for single people. Pray that Christ will protect them; that friendships and church fellowships bring ample fullness of healthy relationship; for wisdom to choose sexual purity and holy lifestyles; for marriage. Pray for broken families. Pray for the healing of broken or embittered hearts. Pray for the children of such homes. Pray for the Sunday School Ministry. .Linda Fegins, The Prayer Leader Linda Fegins, “The Prayer Leader” serves as prayer leader and teacher/trainer on the “Prayer Boot Camp” with the Global Missions Prayer Force and as a guest intercessor and volunteer for Girlfriends Pray a global prayer ministry. She served as Prayer Coordinator for over 13 years( later Director over the Prayer Ministry) for the Lydia Circle Christian Business and Professional Women. As part of the Lydia Circle she has lead over twenty prayer boot camps, and has lead prayer services and workshops in the Bahamas and in South Africa. She served on the prayer team of a medical mission trip to Jamaica under the leadership of Rev. Jackie McCullough. 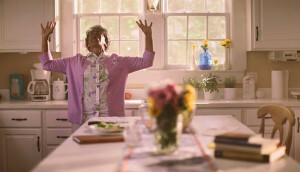 She also serves as the Prayer Leader for her church’s Intercessory Prayer Ministry. Pray for the church to have a Christ-centered worship experience in spirit and truth that will please the Father. Pray for sincere and honest exaltation of the name of the Lord, born of the Holy Spirit and the Word. Pray for humility and unity among believers that will give rise to worshiping the Lord in the beauty of His holiness throughout the church. 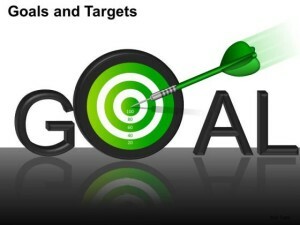 Pray that individual and corporate intercession and prayer will increase in you and among the members of your church.. Thank God that He has established that His church will be called a house of prayer for all nations. Pray that your church (Messiah )will be the kind of house of prayer that pleases Christ. DAY 37 – March 17th — God Speaks to YOU! How can you tell when God speaks to you? Do you ever wonder about people who confidently say, “Well, God told me to” do this or that? How do they know? Don’t discount an answer you may be receiving from God because it seems not to make any sense. God answers us in many ways, and we can always search his Word, the Bible, for guidance when we think we hear God speaking to us. Just be aware that God may be speaking to you in surprising ways. Remember Joshua and the battle of Jericho (Joshua 5:13-27). Remember Gideon (Judges 6-7). Remember Peter and Cornelius (Acts 10). Pray that believers will seek to hear God’s voice. Pray for law enforcement for justice, rightful use of force, police officers of integrity, protection for police officers and for the citizens they serve. Pray for the City of Flint for healing, justice and deliverance. Linda Fegins, “The Prayer Leader” serves as a prayer leader and teacher/trainer on the “Prayer Boot Camp” with the Global Missions Prayer Force and as an intercessor and volunteer for Girlfriends Pray, a global prayer ministry. She served as Prayer Coordinator for over 13 years( later Director over the Prayer Ministry) for the Lydia Circle Christian Business and Professional Women. As part of the Lydia Circle she has lead over twenty prayer boot camps, and has lead prayer services and workshops in the Bahamas and in South Africa. She served on the prayer team of a medical mission trip to Jamaica under the leadership of Rev. Jackie McCullough. 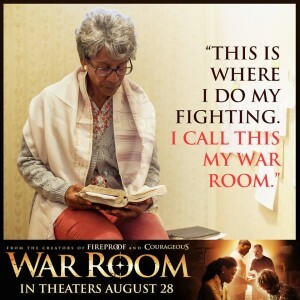 She also serves as the Prayer Leader for her church’s Intercessory Prayer Ministry. Praise God for His mercy and faithfulness. Mercy means that God does not treat us as we deserve. Pray for God’s people to stand still and hear His voice and then to obey His voice. Pray for those who are grieving. Pray for Messiah’s Transportation Ministry. DAY 35– March 15th – How Vibrant Is Your Prayer Life: Hot or Cold/ Bright or Dull? Thank God for his readiness to hear prayer and to deliver those who trust in Him. Confess if there is little praise in your prayer. Confess that you have neglected the praise that is important to Him. Pray that you are growing in your spiritual walk and prayer life to please God, and that you will continue to pursue your walk, and not go backward, but always forward. Pray for outbreaks of praise to God from the people in our city as they see new displays of Christ’s power. Pray for an increase in your desire to consistently pray for others. Pray for an increase in your ability to see the good in others, for a deep sense of care for the well being of others and for confidence that your prayers will make a difference in their lives. Thank the Holy Spirit for His ability and willingness to purify our prayers and to help us when we don’t know how to pray very well (Romans 8:26). Pray for Pastor Littlejohn and Sister Cheryl. Pray for Governor Snyder, Mayor Duggan and the City Council. 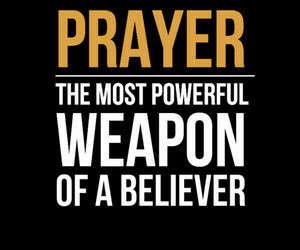 Praise God for the power that makes powerful praying possible. 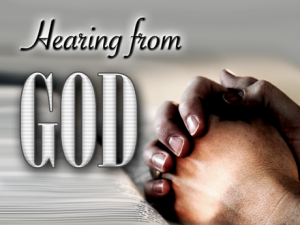 Thank God that he hears and answers the prayers of ordinary persons and makes it possible for us to pray powerfully. Ask God to reveal to you what he wants you to pray about and to help you pray earnestly and persistently. Pray that God will cause his church to grow strong in prayer and be effective in ministry. Tell God that you are available to pray earnestly and persistently about anything that He places on your heart and that you will listen for His direction. Now listen for God’s directions. DAY 31 – March 11th – Do You Deserve Grace? Praise God for grace and mercy. Pray that the church will grow in love, grace and mercy to impact the community and the world. Pray that individual and corporation intercession and prayer will increase in you and among the members of Messiah. Thank God that He has established that His church will be called a house of prayer for all nations. Pray that Messiah will be the kind of house of prayer that pleases Christ. Pray for the Intercessory Prayer Ministry. Call them by name. Pray that they will effectively and boldly mobilize, lead, train and encourage others in individual and corporate prayer. Seek the Lord for you to come to a place of being quiet before the Lord, expecting to hear what He has to speak to you. Pray for the grace to walk in humble obedience to His voice. Pray for ears to hear from the Lord through the pastor, teacher or through whatever way He has chosen to speak to and through His children. Pray for your relationship with a family member. Pray that the Lord will bring healing, reconciliation and restoration where it is needed. Pray for any relationship you may have with people who do not know the Lord. Pray for the unsaved and the unchurched. Pray for words to say that will turn their hearts to Jesus. Specifically, pray for ______ who has turned his/her heart from God. 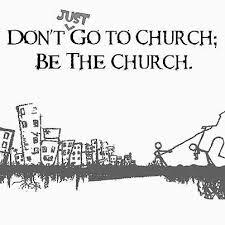 Pray for the church and yourself to learn to serve as Christ did and demonstrate love. Pray that the believers serve our community in ways that will soften the hearts of unbelievers to the gospel of love, grace and truth. Pray that unbelievers would receive your service as a demonstration of Christ’s love for them, leading many to salvation. Pray that our service would be a holy demonstration of Christ’s love, not self-serving in any way. Pray for business people. Pray that they operate honestly and to frustrate any practice that creates injustice. Pray that you will grow in the knowledge of God’s Word for every aspect of your life. Pray that you would grow in grace and in the knowledge of the Lord. Thank the Lord for His grace and for the gifts He has bestowed upon you. Pray that you and members of the church demonstrate graciousness in your attitude, speech and actions. Pray that our city will be transformed as we cry in humble and faith-filled intercession. Pray for every member of the body to understand their place and purpose in the body and to work together in proper relationship with each other under the leadership of the Pastor. It is Day 26 of the 40 Day Prayer Journey. Keep pressing in praying and studying God’s Word. Repent of withholding mercy and love out of judgment and vengeance. Pray that believers and you grow in grace, mercy and love to make an impact in the lives of others and in the world. Pray that the fruit of the spirit will abound in you and in and through the church. Pray for the physically disabled. Pray that they will be surrounded with loving friends and family; for physical stamina and healing; for financial burdens of therapy and special care, and that they will love and honor God. Pray to grow in faith and to surrender to the Holy Spirit as a powerful demonstration of His love and power. Pray to walk in God’s grace as members of the body of Christ and to demonstrate His love, mercy, grace, and power to the world. Pray for homeless people. Pray for immediate relief, shelter, food and health care; that Christ will restore hope for the future. Pray for protection from the risks of life on the streets for the homeless and for employment, housing and restored family life. Pray for your co-workers especially the difficult ones. Pray that God will give you divine appointments to witness to those who do not know the Lord. Pray for your neighbors. Pray for God’s peace to be upon those who live on your street or in your housing complex. Ask God to give you an opportunity to witness to them about God’s love. Pray that the disciples of Christ will be known by our love for one another and the loving-kindness of the Lord that leads to repentance. Pray that members of the church and yourself show love through deeds that touch the lives of the unsaved, unchurched and unsure. Repent from demonstrating the letter of the law rather than the Spirit of liberty and love.